When should you reserve your RV rental in Canada? When should you reserve your RV for your Canadian vacation? Every year, many disappointed travellers find themselves unable to rent an RV in Canada, because there are none available. The RV vacation is a highly popular form of travel and demand exceeds supply, particularly in high season. If you want to rent an RV in July or August, which is peak tourist season, you will need to book early (at least six months in advance). Reservations begin up to 1 year in advance. It is a good idea to book your RV before purchasing your plane tickets, especially if you are looking for a one-way rental and/or travelling in high season. Furthermore, the earlier you book your RV, the better the price will be. Rental prices tend to increase each week, as availability decreases. You can always try booking at the last minute, but there is a good chance that you will not find any vehicles available. And if you do manage to find one, you are almost certain to pay a high price. 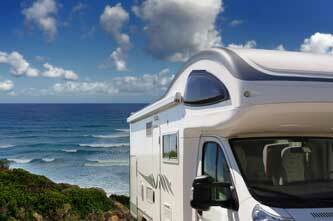 It is generally easier to find an RV for the months of May, June, September and October. However, the fact remains that prices are lower the earlier you book. Most suppliers ask for a 30% deposit to confirm your reservation. What is the best time for RV travel in Canada?